30" x 20" stretched canvas in oils. 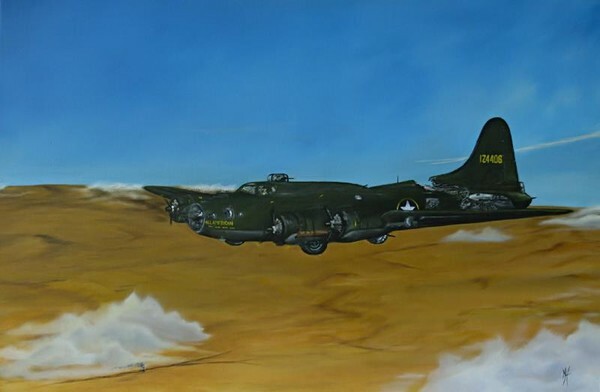 This depicts the B-17F Flying Fortress that had the tail almost ripped off by a BF-109 on the return from a raid. An F, no chin turret and does it have a gun sticking out of the radio operator's compartment. Things I had to learn. Unbelievable!! !